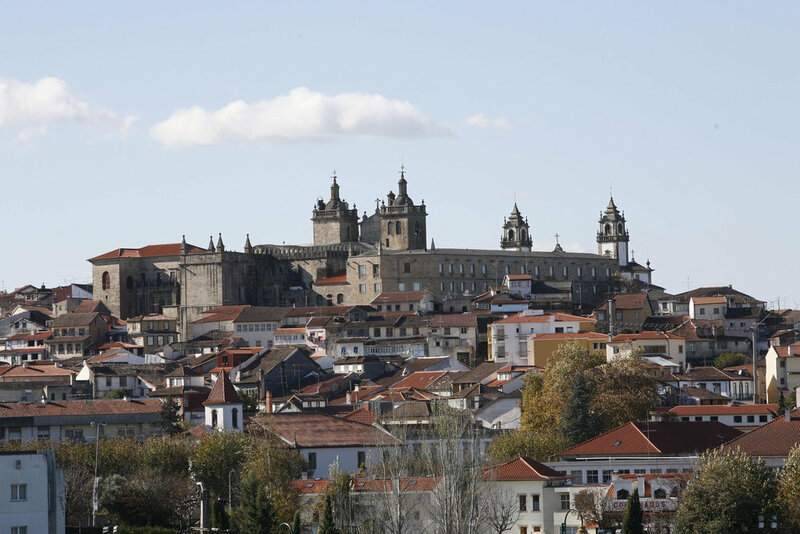 Three of the most lovely, vibrant and historical cities in Portugal to visit each one an easy day trip away from the Quinta - Coimbra, Aveiro and Viseu. The modern entrance to Spain from Northern-central Portugal appears to follow a similar prehistoric route, judging from the high density of prehistoric remains. One of several Neolithic concentrations in Portugal, sites are dotted along the River Mondego which follows the Serra d'estrela mountain range. Nearby this ancient and seemingly invisible route is the valley region of Piodao, near which several important prehistoric discoveries have been made such as the 'Orca' cluster. As well as having several impressive dolmens, passage-mounds and cart-ruts, this area has produced numerous prehistoric stone-carved Phallus' along riverbeds, over 50 examples of rock-art including spirals, foot-prints, and various other symbols and motifs, is gradually revealing itself to have been an important megalithic centre. In 210BC the Romans entered the southern Iberian peninsula and quickly subdued the Mediterranean coast and the south of Spain and Portugal. In the central Iberian region they met great re­sistance and in 193BC the Lusitani rose up in arms. Based in central Portugal between the Tejo and the Lima rivers the Lusitani were known to the Romans as ‘Strabo’ “the most powerful of the Ibe­rian peoples, who resisted the armies of Rome for the longest period”. Under the rebel leader Viriato, possibly born in the area of Loriga in the Serra d’Estrela, they held up the Roman advance for 50 years, only finally losing in 139BC. Just outside Oliveira do Hospital. Roman ruins, an amphitheatre and archway, also many houses in the village show examples of re-used roman stones in their construction, sometimes using old columns and carved stone as steps, terrace props and lintels. Very close to Casa da Bezerra and spanning the River Cobral is a beautiful, single arch roman bridge. Also there are examples of old workings (mainly Mills and Olive presses but also sites showing remains of ancient water lifting equipment) all the way along the river banks.